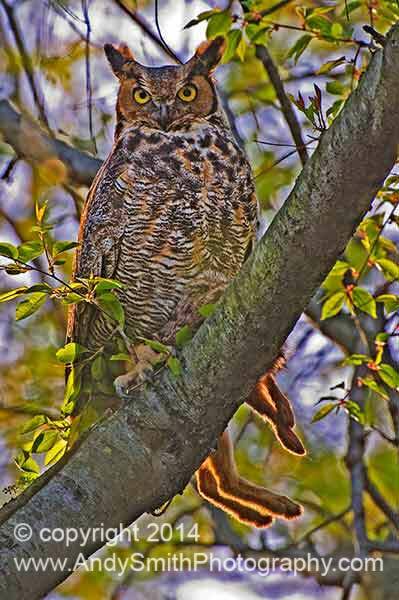 This Great Horned Owl, Bubo virginianus, has caught breakfast, a rabbit, in the John Heinz National Wildlife Refuge at Tinicum in Philadelphia, PA. She was about a hundred feet from her nest with two young in it when I discovered her. This image is one of the top 100 in the 2007 North American Nature Photographers Association Showcase. It was also third prize winner inthe Drawing, Prints, Pastels and Photography Juried Art Show of the John James Audubon Center at Mill Grove.